This 79-acre property in the Chehalem Mountains has 28 acres of vines planted to Pinot Noir and Chardonnay. Pinot Noir clones are 777, 667, 114, 115, Wädenswil and Pommard planted in Laurelwood series soil. The winery is specifically designed for vinifying Pinot Noir. Veteran winemaker Tom Fitzpatrick crafts three estate Pinot Noirs named Estate, Justina and Riservata. Photo below is of Tom (left) and owner David Nemarnik. Second photo shows an overview of the beautiful estate. The tasting room at the winery is open Thursday-Monday afternoons. Visit www.allorovineyard.com. Analemma co-farms the Oak Ridge Vineyard, planted in 1984, with owners Thomas and Marlene Woodward. The vineyard is organically certified and dry-farmed. The vineyard sits in close proximity to Atavius Vineyard, another source for Analemma Pinot Noir. A 100% whole cluster Atavius Vineyard Pinot Noir will be reviewed later when a large number of 100% whole cluster Pinot Noirs will be tasted. Owner Steven Thompson has a vast experience in winemaking including Cayuse Vineyards in Walla Walla, Washington, and New Zealand’s Craggy Range and Seresin Estate. The winery’s Cellar Door is open Friday-Sunday from April 1 to October 31. Visit www.analemmawines.com. The 2016 Pinot Noir wines reviewed here are part of the winery’s spring release. Winemaker Brian Marcy reported that the 2016 vintage was warm like the preceding two vintages with structures similar to the 2014s and the juiciness of the 2015s to balance. The wonderful art on the labels is drawn by Brian's spouse, Claire Carver, and is unique to each vintage. The labels are made by hand using a letterpress and thick printmaking paper. After each label is applied by hand, each bottle is carefully wrapped in tissue to preserve the letterpress paper’s texture and beauty. There is a product code on the bottom of each bottle so you don’t have to unwrap them to identify the wines. Big Table Farm has become extremely popular for its outstanding wines and working farm. Tasting is by appointment only. Visit www.bigtablefarm.com. Shipping is now free with case purchases. Distinctive, consistently top-notch Pinot Noir from the southern Willamette Valley. Initial planting of the estate vineyard began in 1981 and the first wines were released from the 1986 vintage. 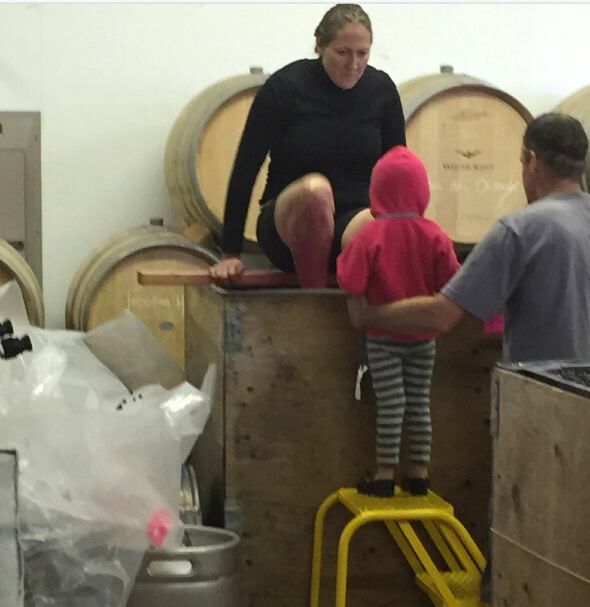 Second generation, Morgan and wife Jessica Broadley run the winery, with Morgan crafting the wines. Most of the Pinot Noir wines are from the estate vineyard. Uniquely, large wooden fermenters are used giving a richer and deeper complexity to the wines. Whole cluster is also used in fermentation when the vintage dictates. Visit www.broadleyvineyards.com. This winery is celebrating 40 years since its founding in 1978 by Dr. Robert and Corrine Gross. Initially, grapes were sold to other wineries, but in 1987, Dr. Gross, a homeopathic doctor, started his own label from his estate vineyards. The winery was an early adaptor of holistic agriculture including organic and biodynamic farming practices by the early 1990s. They expanded to four vineyards on 125 acres. Every wine they make is made from Biodynamic grapes, with Demeter® certification since1999. In 2002, Cooper Mountain became the first winery in the US to gain label approval for a no-sulfite-added wine, and, in 2010, achieved carbon neutrality. The winemaker since 2004 has been Gilles de Domingo and the farm manager is Gerry Sanchez who has tended the vines on Cooper Mountain for more than two decades. Dr. Gross’s daughter, Barbara, is the operations manager. Varieties grown include Pinot Noir, Pinot Gris, Pinot Blanc, Chardonnay, Gewürztraminer, Gamay Noir and Tocai Freiulano. Total production is 20,000 cases annually. There are three tiers of organic and biodynamic wines. The Five Elements tier are vineyard designates and special selections that are produced from the most coveted barrels from the winery’s most prized sites. The Cooper Mountain Estate tier is a collection of moderately priced wines that are ideal aperitifs or can pair nicely with foods. Cooper Hill is the winery’s second label. In 1987, the owners converted their horse barn into the original winery. They soon outgrew that winery and built the current winery next door, opening the barn into a tasting room in Beaverton, just 10 miles from downtown Portland. The tasting room is open daily. Visit www.coopermountainwine.com. The Cooper Mountain Vineyards “Life” Pinot Noir has no added SO2 during vinification, so the winemaker focuses on enhancing some type of phenols considered strong antioxidants. The goal is to replace the SO2 antioxidant role with naturally occurring phenols, according to winemaker Gilles de Domingo. The first step in making the wine begins in the vineyard. Two designated blocks are used that differ from the typical VSP canopy management in that leaves are pulled on both sides of the canopy at the bloom stage. This is meant to “teach” the berries to receive the sun at an early development stage. The Brix will increase slower than usual and the phenols will develop differently by enzymatic processes. Because of the combination of a minimum foliar surface and early exposure to sun, the vines will stress enough to develop an increased amount of phenols and polyphenols. The second step occurs at the crush pad. The grapes are 100% de-stemmed because the phenols contained in the stems will have the undesirable effect of precipitating desirable phenols. Primary fermentation occurs naturally by spontaneous fermentation in 1.5-ton open-top fermenters. The punch down regime is quite soft. Aging in barrels is a must, The gallic acid contained in oak will bind with the increased polyphenols forming a stable tannin complex. SO2 has a strong bleaching effect on phenols and is the reason many Pinot Noir wines tend to be lighter in color. A loss of 20% in color depth is common in practice. The result is that “Life” Pinot Noir has a deep color like Syrah. De Lancellotti wines are produced from distinguished vineyards in Oregon and produced in a shared winemaking facility in McMinnville, under the guidance of winemaking consultant Robert Brittan. Tasting is available by advanced appointment only December-April, with an opening to the public beginning in April. Three tasting experiences are offered. Visit www.delancellottifamilyvineyards.com for details and location of tasting room. At the heart of Élevée is the concept of “winegrower,” one part “winemaker” and one part “grower.” The two are inextricably linked. Winegrower and proprietor Tom Fitzpatrick, UC Davis educated, after years of professionally growing and crafting wines for others in Burgundy, Napa Valley, New Zealand and Oregon, he had the opportunity to bring his “winegrower” concept to life. While the winemaker for Alloro Vineyard (where he remains today), Archery Summit’s Gary Andrus decided to sell a high-density, microsite in the Dundee Hills that he had planted in 1998. Tom and his spouse France purchased it in 2008 and named it Élevée Vineyard. In 2016, he began directing the farming on two additional and diverse sites in the Chehalem Mountains and Eola-Amity Hills. Farmed by him, he is able to craft wines that express the personality of each site and showcase the diversity of Willamette Valley terroir. 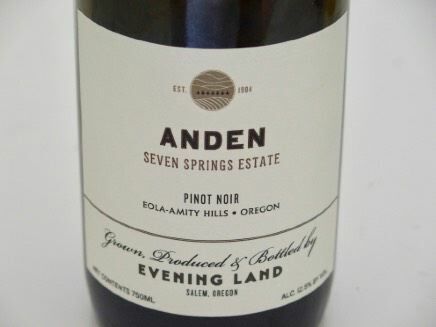 Estate grown wines from a 15-acre steep, south-facing sloped vineyard located just east of the town of Yamhill first planted beginning in 2001. Shallow soils, dense spacing and a diverse clonal mix consisting of Pommard and Dijon 115, 114, 777 and 667. The vineyard is dry farmed and sustainably managed. 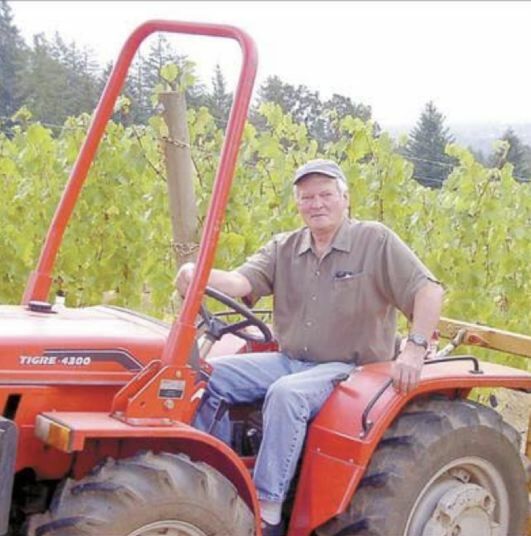 Owner Steve Lutz established Lenné Estate in 2002 and since has produced a stellar series of Pinot Noir wines that I consider among the best from the Yamhill-Carlton sub-appellation. 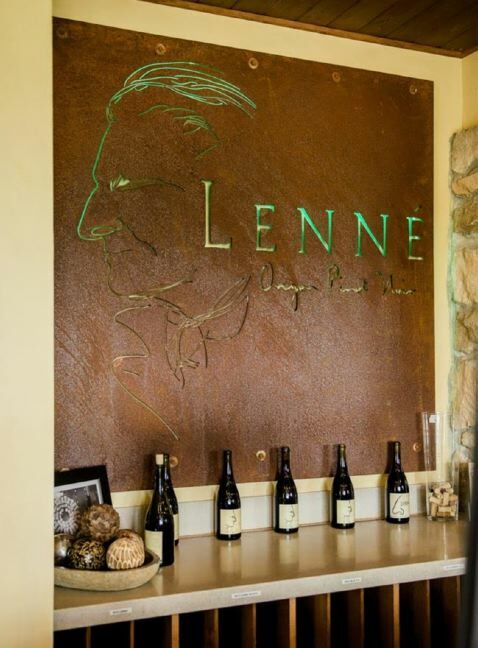 The Lenné Estate Vineyard is managed and farmed by Steve and the wines are produced by Steve at Owen Roe with the help of their crew. The 2015 vintage wines are riper (with higher alcohols), as well as more concentration and tannin. and will need more time in bottle to ameliorate the hardy fruit tannins. The wines reflect the vintage that mirrored the 2014 vintage with a record-breaking number of over 90 degree days in July and August. The result was small, thick-skinned berries and the earliest harvest ever at Lenné Estate. The tasting room is open Wednesday through Sunday, 12:00 p.m. to 5:00 p.m. Visit www.lennerestate.com. The following wines will be released May 19. Native Oregonian Michael Lundeen is now the third generation steward of his family’s ancestral home in Yamhill County, and the latest to tend the vineyards there. Michael has been crafting Willamette Valley Pinot Noir and Chardonnay since 2006. The home Poverty Bend Vineyard Estate is farmed naturally and sustainably, with an avoidance of the use of synthetic chemicals, herbicides and fertilizers. The Articulate wines are barrel selected blends from vineyards across the Willamette Valley produced in exceptional vintages. They are meant to show the highest expression of the vintage as well as the Willamette Valley as a whole. The Single Vineyard wines are put into the fermenter with some percentage of whole clusters since Michael believes that great vineyards express their uniqueness not only in fruit but in the complex contents of the entire grape cluster. The general style of the wines reflect lean esthetic and savory characters. Tasting is available by appointment at the Walnut City Urban Winery Tasting Room and Wine Bar (www.walnutcitywineworks.com) in McMinnville where wines are available for purchase. Shop online at www.lundeenwines.com. This winery is a family owned estate founded by Don Hagge, a former NASA physicist. Because of his background, it is not surprising that he has introduced many innovative techniques into his winery. As someone who designed instrumentation for NASA’s satellites, he brings a formidable intellect and scientific precision to growing and making wine. One example is the use of VinoSeal glass stoppers using a special bottling line that Don built. This closure eliminates the risk of cork taint and pre-oxidation. The estate vineyard, located three miles north of the Dundee Hills, consists of 12.5 acres of vines planted on a mix of sedimentary and volcanic soils. The Pinot Noir, clones 777, 115 and Pommard, are planted on Jory soils with a vine density of 1,555 per acre, with initial plantings dating to 2000 and 2001. Don is VIDON’s vineyard manager and general manager, and also assists in the winemaking along with David Bellows. Each August two or three barrels of each clone are selected for an additional seven months of barrel ageing. These become the Brigita Clone 777, Mirabelle Clone 115 and Hans Clone Pommard bottlings. All the remaining barrels are blended as the 3-Clones and this wine is about one-third of each clone. Winemaking employs indigenous primary and malolactic fermentation. Grapes are 100% de-stemmed and fermented in 1.5-ton tanks. After a 3 to 5-day cold soak and 7 to 10-day native yeast fermentation, the single clone wines are aged in French oak barrels, 35% new, for 18 months. The wines are sealed with a glass closure. There is a striking contrast between the two vintages reviewed here. The 2014 vintage wines are riper with higher alcohols and more extraction. The 2015 vintage wines are more typical of Oregon, with appealing elegance and refinement, more spice, better harmony, and less extraction but more nuanced. The tasting room at the winery is open Thursday-Monday, April through November, and other times by appointment. The tasting room features an argon gas wine preserving and dispensing system designed and built by Don. Visit www.vidonvineyard.com. 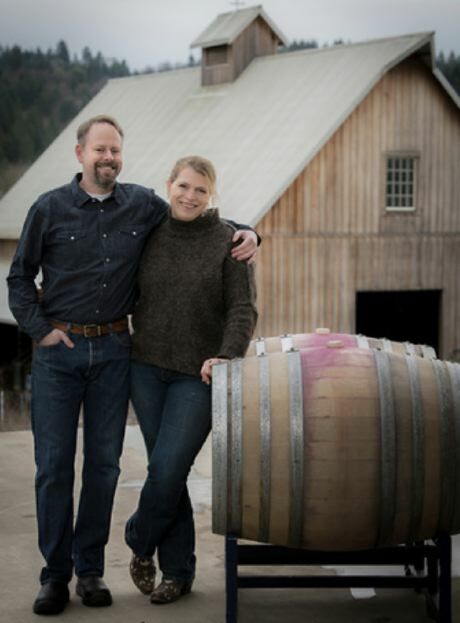 Partners Ken Pahlow and Erica Landon launched Walter Scott Wines commercially in 2009, and in a relatively short period of time have become one of the Willamette Valley’s most respected producers of Pinot Noir and Chardonnay. The key to their success, besides their extensive experience in the wine industry, has been their ability to source grapes from some of the most established and prestigious vineyards in the Eola-Amity Hills AVA. They have the grapes! Because of the popularity of Walter Scott wines, a limited number of tastings are offered Monday-Saturday. The tasting fee is $50 per person, waived with a 3-bottle purchase per person. Alternatively, tasting of Walter Scott wines is available at Valley Wine Merchants in Newberg. Two open house events are hosted on Memorial Day and Thanksgiving weekends when you are to join at $15 per person. The photo below shows Erica during pigeage with her daughter and spouse Ken. 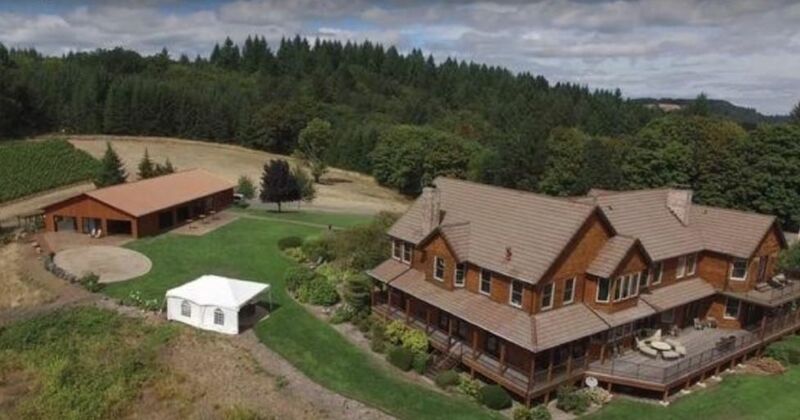 This estate consists of 21 acres of vineyards and a guest house operating as a B&B, located on a spectacular 50-acre hilltop site with expansive views of the Willamette Valley. Family owned and operated since 2003, owner Wayne Bailey crafts the wines named after his three daughters (Natasha, Jordan and Aspen). For more information, visit www.youngberghill.com. AWE Wines is a tiny label (less than 70 cases of Pinot Noir. Every year, Travis Awe, a winemaker in Healdsburg and his spouse PJ Awe drive up to the Willamette Valley and pick up the fruit, truck it back, and make the wine in Napa. The wine is sold through a mailing list at www.awewines.com.